Tonight Romney was successful in buying his way to victory. He & his super PAC outspent his nearest opponent by running 13,000 negative ads. 9:29p – Paul at the podium. He’s live from campaign HQ in Henderson, Nevada tonight. Paul congratulated Romney for winning Florida, says he’d see him in the caucus states. 9:07p – Newt and Callista Gingrich walking up to the podium at campaign HQ in Orlando. “We’re going to have people power defeat money power in the next six months.” Has somebody told Sheldon Adelson this? Pledges he will build Keystone pipeline. Urges Canadians not to make a deal with the Chinese. Vows to reinstate Reagan’s Mexico City Policy – no U.S. money for abortions anywhere in the world. 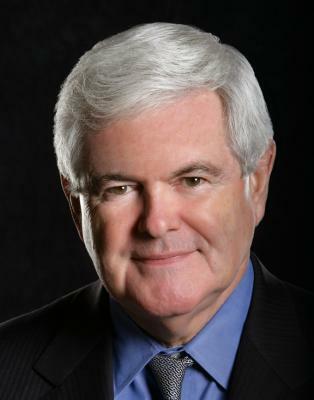 9:23 – Gingrich speech ends. David Gergen points out that Gingrich did not congratulate Romney for winning the Florida primary. 8:28p – Romney family walks up to the podium. Starts thanking key Florida supporters, state and congressional officials. 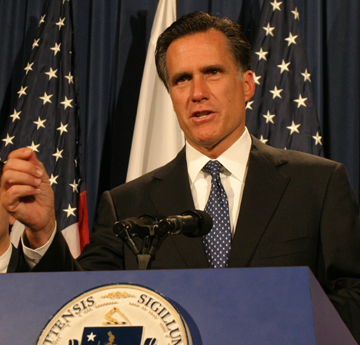 8:32p – Mitt Romney takes the podium. Romney strategically picked victory night speech location in Tampa – city which will host 2012 Republican convention which could potentially nominate him. 8:42 p – Romney wraps up his victory speech. Networks on standby for Gingrich. Multiple news organizations have called the Florida Primary for Mitt Romney… Based on the exit returns with about 57 percent of the votes counted, Romney is leading Gingrich by nearly 190,000 votes. Watch this space for speeches, exit poll analysis, and a look ahead at the Nevada caucuses.